We are happy to welcome Darkened Soul, one of the premier ambient artists around, to Earth Mantra. 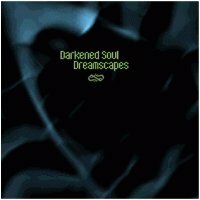 Darkened Soul is known for lush, soulful soundscapes that are, well, dark. While "Dreamscapes" is definitely plenty dark for any fan of the genre to enjoy, it easily evades the trap of unlistenability that dark ambience too often falls into. Indeed, this is an extremely approachable album for any fan of ambient music. The artist masterfully blends subtle melodic elements with his trademark abstract sound creations, creating an album of great depth and intelligence. We're giving the music away free, therefore we got no skin in the game, so humor us if we say we think this album is an instant classic. It is. One of the top releases of 2007 by one supremely talented artist. Very nice ambient that combines drifts with atmospheric sounds. There are a couple of darker pieces towards the end but overall the mood is well-balanced between dark and light.